Except the growing number of screen pixels and CPU cores make optimizing for power efficiency a tough proposition. The G3 didn’t have the best battery life amongst flagships so it shouldn’t be hard to improve on it. Still, other makers did not stand still either. One thing LG failed to improve is talk time. 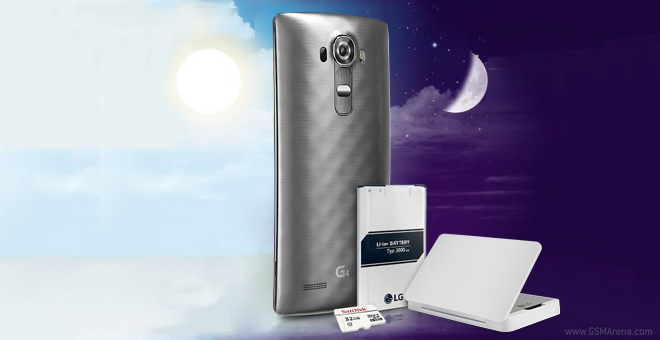 The G3 achieved an excellent 25+ hours, but both the G4 and G Flex2 struggle to top 18 hours. This could be an issue with the latest Snapdragon chipsets though HTC got close to 21 hours with a Snapdragon 810. The web browsing did improve, the LG G4 lasts 8 hours. That’s about an hour and a half improvement over the predecessor. Still, it’s not a great achievement, especially when you consider the screen brightness. We kept the brightness slider at 50%, which results in around 100nits. That’s just a fifth of the screen’s max brightness and less than most other phones in this test. Video playback time didn’t improve, in fact it’s one hour less than the LG G3 managed. Again, the screen was very dim but then again the G3 screen was at the same brightness so that’s no excuse. The overall Endurance rating is 54 hours, which is about average. It’s well below the Galaxy S6 though and it’s not just because of worse individual scores either – the standby power draw was pretty high, which further lowers the final score. 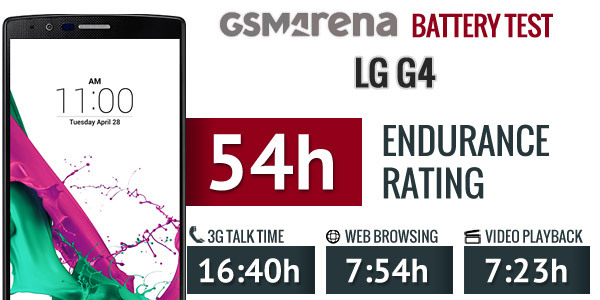 We can’t say that LG managed to improve the battery life of its G-series flagship. The Endurance rating is actually lower, though if you do more browsing than talking you might get the phone to last a little bit longer. It’s a good thing that LG is offering a free second battery in some markets, it’s necessary if you keep the brightness slider close to 100%.